Every competition provides feedback that is useful for the future. This week, while not doing any private lessons, I was able to schedule a time to sit down with Boss and go over the points from the competition and discuss where my dance journey will take me next. We didn’t get to everything in the time we had, but covered a lot of the general points, specifics we will get into more soon. It is a discussion, but it starts with me providing some general thoughts of my own, him providing his own thoughts and then follow-up questions and answers that lead to a plan. Sometimes this conversation goes well, other times, not so well. As many of my fellow pro/am bloggers have mentioned, it is normal to experience a post-comp ‘crash’, especially after such a good ‘high’. I am lucky in that my crash this time was fairly minor, but that is likely due to the circumstances surrounding this comp for me. Before going into the comp, because of the recent changes in my health, I knew that after there is going to be a big change to how I work and I was already looking forward to it. I also knew that both Boss and I were already on the same page, which is always helpful when planning goals. For the first time in a long time, I feel like I have some control over what I can do in dance (at least as a student). While the planning and teaching is up to Boss, I finally feel I have recovered enough that combined with my desire to work hard (which I have always had), I am finally at a point where I am capable of working at the level I want to–health-wise. That is a huge step forward for me and a profound sense of relief. My motivation is back and I am determined to keep moving forward. Some general things we talked about included the strengths and weaknesses of my dancing at the comp–mainly stamina in holding my frame and position in standard (which was better than previous, but still had a big impact), my dresses (which he really liked! ), my footwork and few other things which will need to be worked on. The biggest strength and achievement for this comp was the improvement in my overall dancing and health. One of the things that Boss mentioned was that I need to adjust my level of satisfaction in my own dancing going forward to bring my expectations from myself higher. I completely agree with this, although this is where he and I differ a little. Boss has historically told me not to worry too much about my technique, etc. because it was ‘very good for my level’. I have never accepted that, because my goal has never been to be ‘good for my level’, it has been to be ‘good’ in general. It seems that now we are coming together on this thinking, and I was glad to hear him say that. Going forward, the goal is to do 3 lessons a week, 3 self-practices a week, and 1 latin technique group class (which I started last week), at least as far as school and work allow. We are still working out some scheduling, etc. but that is the basic plan. He told me to expect to spend a lot of time in lessons repeating things over and over as we start to focus down on technique (which I cannot wait for). I am not planning to compete for quite some time and I am actually already enjoying having the time to really focus on techniques. We are going to start working on closed gold routines, the intent being for me to do my silver test sometime early summer, when the adjudicator is available. We are also going to put open routines aside for now, and eventually we will start fresh with new routines not based on my syllabus routines. There is more with that, but something to discuss in the future. Before we even get to routines, I am just going to focus on technique. I can’t emphasize enough how I am looking forward to that. That is the part of dance that I really enjoy–the ‘nitty-gritty’. Smooth will continue and I hope to do some coaching in the near future to help strengthen it. I really enjoy that style and it really enjoys me too. It suits me more than standard, but until there is a 9-dance latin/smooth combo event, standard will continue to be my challenge. Medically, I also had a bit of an update this week. I saw the oncologist for my 6-month check-up and we discussed the various options for hormone therapy. He is really happy with the effects of the ovarian suppression and hopes to transition me to 3-month injections. In addition to this, he wants to add an aromatase inhibitor, which will bring my estrogen levels down to almost 0. Unfortunately, the main side-effect of this medication is bone and joint pain. When I heard this, my first reaction was ‘really? Can’t I have a break! !’ Unfortunately not, as I am slated to start this new medication after my next injection week after next. I am truthfully quite reluctant about this and I may on my own delay another month. I am not quite convinced I have ‘leveled-out’ from the injections and I am not quite ready to add another element to the mix. I am still having some definite hormone fluctuations, which make me nervous. My family doc is testing my hormone levels though, so that should help. I am eager to get down to work next week. I will warn you in advance that February will be a ‘light’ month for me for dance due to school residency. I am feeling optimistic for the future for the first time in a long time! As promised, here is a review of the competition I did this weekend. Please keep in mind that this review is based on my perceptions as a pro/am student. Vancouver Challenge Cup (VCC) is in its 4th year and is held at the Hellenic Centre in Vancouver in January. The comp includes events for pro/am, and am/am and includes a lot of fun events such as mixers, jack/jill events, a team match, and ends with a pretty amazing ‘Pro show’. Overall, it is a very fun event with a great atmosphere, well attended with an active audience and provides a great experience. It is organized by Michel Guimond, Clara Shih and David Marisigan, who have done a wonderful job improving on it each year. -VCC is one of the most affordable comps I have seen. The pro/am entry prices are amongst the lowest in the country ($25 for a single dance) and you can purchase a competitor’s pass for $35 that gives you entrance to the full event. -Pro/am students are given coupons for $3, $2 or $1 off the following year’s event for 1st, 2nd and 3rd place in all events except scholarships (which had separate monetary prizes for placing). Medals were given for top 3 placements in multi-dances and scholarships. In addition, each student was provided a voucher for a free photo print of them from the competition. -In previous years, the floor has been slippery, but this year it was just right. -Entries are done through o2cm, and the detailed results were available online immediately following the event. -The organizers were very accommodating and helpful. When an issue was identified, efforts were made to rectify it quickly. -The competition ran on time with no unnecessary delays and included lots of general dancing to allow for warm-up and breaks between events. -Water was available throughout the competition, both with and without lemon, and it was replenished constantly. -The changing rooms were large and people were not tripping over each other trying to get changed. There were mirrors in the change room and it was located next to the bathroom. -The awards ceremonies were close after the events occurred and line-ups were done for multi-dances (top 3 only). Awards were given in blocks by students for single dances. -There was a bar available that also sold basic food throughout the comp. -For the most part, the music was good–a mix of contemporary and classic dance tracks. -Personal videotaping and photography was permitted throughout the event. -While the prices for this comp are amazing, it does require a mandatory minimum of single dances to do scholarships. The prizes awarded for scholarship were inconsistent, and not really explained. 2nd in a 3-person latin scholarship was $100, but 2nd in a 3-person smooth scholarship was $50. -There is no separate ‘warm-up’ floor, so the options were to dance during general dancing, or to work in a corner of the building, which resulted in many couples crowding together behind the audience tables and making it difficult to move around. -The pro/am heats were shorter than am/am heats. Three times the paso doble played did not follow traditional phrasing and did not have highlights. It was also cut at least 2 phrases before where the second highlight would have been. Complaints were made after the 1-dance championships and it was fixed for the 5-dance, but the same issues was experienced again the following morning. -The open am/am heats announced placements for everyone in the final, not just the top 3, and couple recognition was done during 5-dance open am/am events, but there was no recognition for the pro/am events. -The comp gave awards for the top EIGHT pro/am TEACHERs, but only recognized the ONE top student. I do understand the desire and need to recognize teachers and encourage them for bringing their students, but the appreciation for pro/am students was a little lacking (see also my point just above about couple recognition). -This comp does not appear to be invigilated for pro/am events and while it does have ‘closed’ events, students only have to do a minimum percentage of closed syllabus steps in the closed level (for example 50% bronze steps for closed bronze). It is an interesting way of looking at the events, but I did see one student doing gold steps in a closed bronze/silver multi-dance. It is my personal preference, but I feel that closed syllabus events should include only steps for that level. There are open events for doing higher-level and/or open steps. -This event has separate ‘divisions’ for the multi and scholarship events to allow instructors to dance with more than one student in the same event, and all events are open ages. However, sometimes 3 different students/instructors get registered in 3 different divisions resulting in them all being uncontested instead of competing against each other. Myself, I would like to see these redundancies eliminated, although it is possible that some pro/am students don’t want to compete against anyone else. Overall, this really is a great event and it is arguably the biggest pro/am event in BC. It has had a steady increase in pro/am participation each year and this year almost all multi and scholarship events had multiple couples competing together. There were a lot of good points and the ‘not-so-good’ points are honestly me being a little picky and/or issues that I hope will be easily rectified for the future. I would highly recommend this event to any pro/am student looking for something different. Keep in mind that Vancouver in January is like April everywhere else in Canada–a great added ‘perk’! Congratulations again to Michel, Clara, and David! I am sorry for being away so long. The competition was a huge personal success–which is always the best type. I will do a review of the competition itself from a pro/am perspective in my next post, but first I wanted to talk more generally about it. I started on Friday daytime with standard, and was uncontested in everything except my multi-dance. It was a great run through my Waltz, tango and foxtrot routines and Boss was very happy with my dancing. Following that, we switched to smooth and had the first run-through of 3 of the 4 smooth routines on the competitive floor. I caught my heel on my dress during the waltz so bad I had to stop to unhook it, but other than that, the routines went really well and those in the audience loved them. Boss and I had so much fun we were both quite ecstatic. I don’t think the routines could have gone better. Friday night was Latin time and again, more fun. The crowd was great and all my routines went really well. The only ‘sour’ note was during the open paso 1-dance. The music that was played did not follow the usual paso phrasing, had no highlights and was cut short. The result was that the choreography didn’t fit with the music and we had to try to keep adjusting. Complaints were made by multiple dancers and it was fixed for the 5-dance scholarship. That was the highlight of the evening–I got second of 3 in the open scholarship, but on a personal note, I was able to dance through all 5 routines, including jive with full energy. While there were little mistakes here and there, I truly felt great about how I was dancing and ended the evening on a high note knowing that I had danced at that competition better than I had since before my diagnosis. I was truly ‘back’. Saturday morning began bright and early with more latin that also went equally well. I still placed at the bottom, but it was very close in a lot of dances, especially rumba. After a good break, and some coffee, it was back to the hall Saturday night for the standard and smooth scholarships. The evening started out difficult with the one dance events, and I honestly had to give myself a little bit of a ‘time-out’ because I was finding myself unreasonably anxious. It was likely due to fatigue, but the good news is that I was able to pull myself together for both the 3-dance and 5-dance scholarships. Again on a personal note, I was able to dance through the entire 5-dance and only ‘faded’ in the VW. Despite that, I was able to take some points from the 3rd place competitor, which I did not expect in the open event. I was able to fully rally after the VW and did a great foxtrot and powered through the QS. It was a real personal achievement for me after so many months of struggling to get through a waltz and tango. After the standard was a quick change for the smooth and that was about fun, more than anything. The surprise for that was that I won the single dances, and got second in the 3-dance scholarship, coming very close to first! I really did not expect that, but was over the moon happy with how the routines went–for the first time competing in open smooth and those routines, I could not have asked for anything better. I truly could not be happier with how this competition went. I was very proud of myself before we left for being able to overcome my medical challenges and do the solid preparation that was needed, but I am doubly proud of how I was able to dance–it wasn’t about just ‘getting through’ all the events–it was being able to dance. The competition did exactly what I hoped it would do. It gave me a strong indication of where I am and what the next steps should be. It also let me know that I am at a point where I can really start to ‘dig in’ and get back to focusing on improving my technique and training at the level I want to. I will meet with Boss this week to discuss the future, focus, goals and the plan moving forward. I am looking forward to it. On a different note, I got the text and paper done for my first course of my masters and working my way through the second. It will keep me busy over the next couple weeks so I am sorry in advance if I don’t post too much. I hope to get a couple more in this week, but no promises. I hope you all had a weekend as great as mine! Lucky you, you get to be my study break for tonight! Actually, compared to the weekend, today has been a bit light on studying as I am taking time to do some of the assignments and allow my brain to process the reading I have been doing. I also had two lessons today (yay vacation! ), both of which went a long way to helping me feel a little more calm about the competition this weekend. The main thing we worked on was the smooth Viennese Waltz, which is probably the weakest routine right now. We had an opportunity to work in my gym so we were able to look at the alignment of the routines and figure out where it needed to start and where to travel to. The other aspect of the routine we were working on was making some small ‘tweaks’ to help it flow a little more smoothly. We made one major change to one of the routine in one of the long lines, but the other changes have been small. We still have a little more to work out, but we will have another lesson in the gym on Tuesday and it is wider than the studio for working out routines. My second lesson was about solidifying the changes in VW, as well as going over some of the small issues encountered during yesterday’s practice in cha cha, samba, and paso. At the end of the lesson, Boss wanted to go through a section of the rumba for himself and to try a styling change in the sliding doors. One thing we did discover yesterday was that our rumba routine is a bit long now, which makes me sad as my favourite part is the circulating hip twists near the end–which we will likely not be able to do as comps have a habit of cutting pro/am heats short. I am finding myself feeling a bit nervous and anxious today, but I am pretty sure it is only side effects of the injection last week. I have been having more frequent hot flashes and it would not surprise me if I had a bit of a ‘hormone surge’ over the next couple days. It already seems to be calming down though so that is positive. I have basically ‘mapped’ out the rest of my week to organize and balance school with the competition preps and get all my readings and assignments done. I feel good about where I am and if all goes well I should be able to relax at the comp and just enjoy it without worrying about other things needing to get done. Another thing of significance today is that it is my birthday. 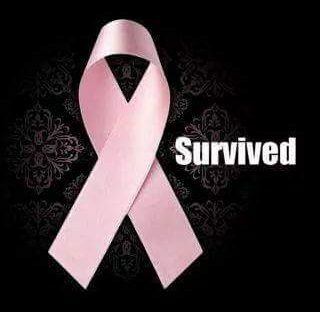 Another year older and another year surviving cancer! Wish me luck in getting all my tasks done! I had a bit of a revelation last night. Since my focus for this upcoming competition is not just on ‘getting through the routines’, there is a completely different focus now. Now I can actually ‘dance’ the routines–and it seems like it’s been a long time since I have been able to do that. It’s created a really positive ‘switch’ in my mind and one that I think I needed. Last night, we were working through rumba, samba and paso and beginning with rumba this revelation suddenly came to the surface. Especially with rumba as there are times when I can really move through the timing. Needless to say, I am suddenly just enjoying how I am dancing much more than I have in a very long time. Or rather I feel like I CAN enjoy what I am doing without having to worry that my legs will give out or I won’t be able to control something. It’s very liberating. One of the biggest switch is that now when I ask my body to use a little bit of power, it responds. We were working on Paso last night, in particular a step called ‘the twists’ which involves me moving around Boss then doing a heal turn before moving around him again. It’s a step that moves a lot and involves a lot of shaping when it is done right. It also involves changing the ‘epicentre’ of the rotation from one partner to the other. We were working on this switch last night and for whatever reason, I felt very free in what I was doing as well as strong throughout the movement. Yesterday seems to be a start of a bit of a reawakening that I think has been coming since I stopped the hormone therapy last month and started to get my hormones under control. I was feeling some small side effects from the injection yesterday–such as nausea, headaches and light-headedness, but already today I can feel myself experiencing the same recovery of energy I had after the last injection. Definitely a huge relief being only 1 week from competition. If I were to summarize how I am feeling, I would say that I really just realized that going to this competition, I can actually compete, instead of feeling like ‘filler’ on the floor. I am trying to keep control, but I can certainly say that excitement for the competition is starting to build–in a good way. There is still a lot to do to finish the preparations for this competition, but already I feel more prepared and ready for this competition than I have since 2014. I am ready to dance. My lesson last night went fairly well, minus some difficulties with maintaining concentration. I did get my injection yesterday though and can feel my energy returning and my head clearing which is a huge relief. We worked on smooth waltz and foxtrot last night and were able to run through both without stopping. It took a few tries to get to that point because I kept forgetting what I was doing, but once I got it together it went well. We smoothed out some of the styling in both routines. I stayed to do a little bit of practice myself afterwards in jive, paso and smooth VW, but had to cut the time a little short because my knees were protesting loudly. Thankfully they are feeling better today and I hope they will be less distracting at my lesson tonight. The entry lists for the competition next week were posted last night and I am competing against people in almost all of my multi-dances and scholarships, so that is really exciting. I am not really sure what to think or expect from this competition. Unlike the last few competitions, the goal for this one doesn’t have to be ‘just get through everything’. It’s really my first ‘real’ competition since before my diagnosis, and in a lot of ways feels like a ‘first’ competition. I do feel more prepared and confident going into this competition and that is a pleasant switch from the last one. Almost all of my routines have been updated as well so it really is quite a ‘fresh’ start. It is also the first competition where I will compete in smooth since I left the franchise system in 2014. I am actually looking forward to it, especially in open where I can really just relax and have fun without a lot of expectations. I have enjoyed working on smooth and have been pleasantly surprised by how elements from smooth have transferred over into my standard and latin. 1 more week of preps! I had a lesson today but I am not sure how productive it was. We worked through a lot of stuff, but my mind feels like it is full of jelly I have to try to push all my thoughts through to understand things. Needless to say, I am counting the minutes until my next injection. It’s interesting how much of a turn-around it is–when I first got the injection I was really worried about what the side effects might be–now I can’t wait until the next one so I can feel ‘normal’ again. We fixed a small issue at the end of our samba, ran through the jive and worked on the way that I am closing my feet in tango. All good points and I hope that my mind will hang on to the information and start to incorporate it better into my routines than it did tonight. We did have an interesting discussion tonight about lead and follow. Especially when it comes to using each other for spins, Boss finds it strange that I really don’t seem to have any resistance until my arm is almost back behind me, instead of in front of me. He finds it is like I don’t feel the resistance until it reaches a certain point. For me, it is an issue of not having the strength to resist without being able to engage more muscles (those in my back as well as my front). It is a conversation to have with my trainer for sure as it is something that is greatly lacking, especially in latin. I hope that Wednesday will be a more productive lesson–or at least a lesson that feels more productive. The lesson was productive today but it was a struggle all the way through it and at times like I wasn’t even there. Two days until the injection.